I challenge you to find a house closer than mine to Old Town and in a quieter neighborhood. 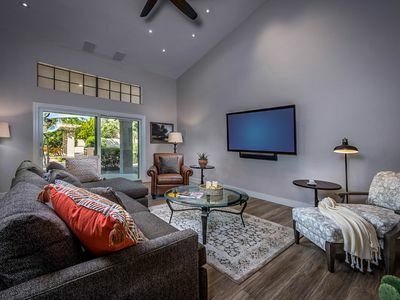 This Beautiful 5-bedroom, 2-bath, 2,200 sq ft home located in Old Town Scottsdale, is “literally” walking distance to Scottsdale’s famous clubs, restaurants, art galleries and shopping. My home boasts a chef's dream with a large granite island, stainless steel high end appliances, and a open floor plan ideal for entertaining. 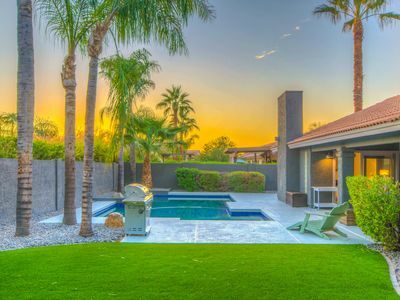 If you've come to Scottsdale to relax in the sun, this home opens up to a large private pool with a waterfall in your very own back yard. This home also offers you your very own lush orange and lemon trees, which I encourage you to enjoy throughout your visit. Scottsdale Stadium (The Spring Training home of The SF Giants) is 1 block away, the Continental Golf Course & Driving Range is 1 block away, the Scottsdale Greenbelt (Walkway & Bike path) is 1 block away, the Scottsdale Library is 2 blocks away, The Scottsdale Museum of Contemporary Art (SMoCA) is a short 10 min walk. 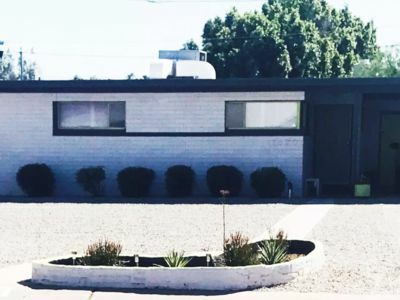 Don’t feel like walking, there are free Scottsdale trolley routes that stop near the house and will get you to everywhere you want to go from this central location. The Phoenix Zoo is a 10 min drive. Rockies & DiamondBack fans...Salt River Fields are a 12 min drive. Easy access to the 101 freeway. 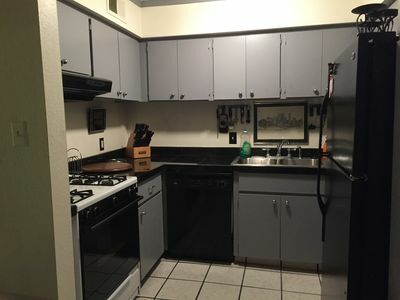 Close to Fashion square mall, various 5-Star spas and golf courses. 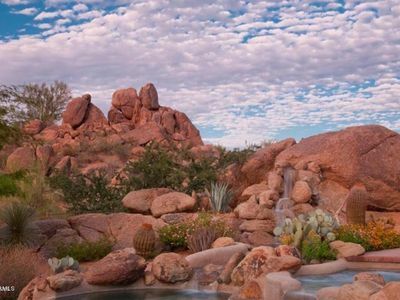 It is relaxing to be a 2 min drive or 10 min walk to everything one visits Scottsdale for. You'll love it so much you will want to come back! Master Bedroom: King Bed | Bedroom 2: Queen Bed | Bedroom 3: Queen Bed | Bedroom 4: Office/Murphy Bed | Bedroom 5: Queen Bed (also with a Twin Trundle Bed) & a second Twin Bed | House also includes a Work-Out Room with weights. Queen pull out hide-a-bed as well. This home features tile and hardwood floors with modern decor welcome you to this open concept, ranch-style home. Natural light streams through walls lined with windows, illuminating the home’s finishes and wall art. 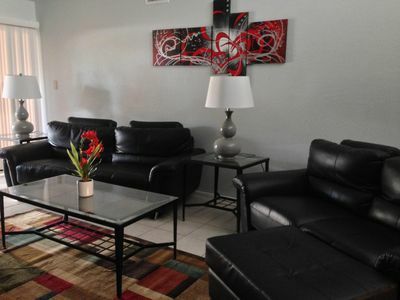 Grab a seat on the large couches while enjoying popcorn as you flip through channels on the 60" flat-screen TV. The space also includes 2 cozy armchairs, a DVD player, and VHS player. 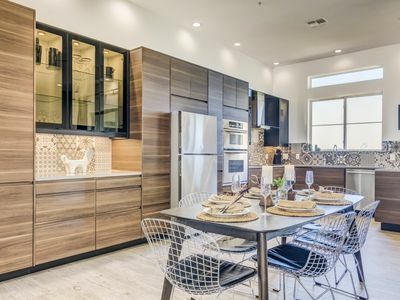 The chef in your group can look forward to working their magic in the fully equipped gourmet kitchen, complete with stainless steel appliances and new maple cabinetry. Enjoy your morning cup of coffee/espresso, your lunch, and dinner around the large custom dining table fit for 10+. 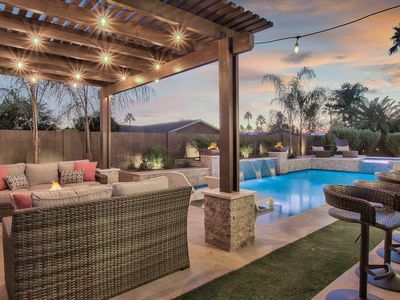 The backyard is Arizona landscaped and comes complete with yard games. Enjoy happy hour cocktails on the patio or go for a refreshing swim in the pool. This outdoor space also includes a stainless steel grill for evening cookouts. There are live cameras on the exterior of the house for security. After a day spent outdoors, retreat to the bedrooms for some down time. 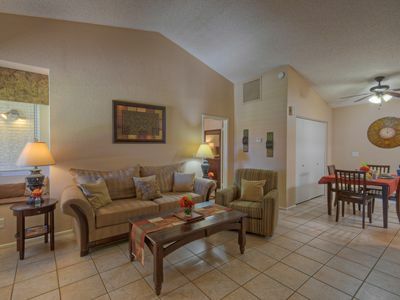 All of the beds come complete with comfortable beds and cotton sheets, blankets, and pillows for peaceful slumbers. 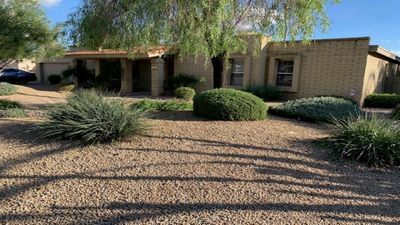 Scottsdale is home to luxury spas, championship golf courses, high end dining, one of a kind car shows, Major League Spring Training, and this property is ideally situated for you to experience it all! 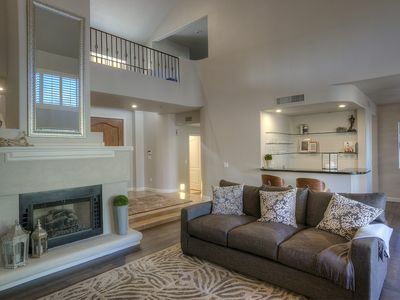 If you came to Scottsdale for Baseball, Fine Dining, Spa Treatments, Thursday night Art walks, Live Entertainment, or Gambling to name a spacious home away from home is just minutes away. 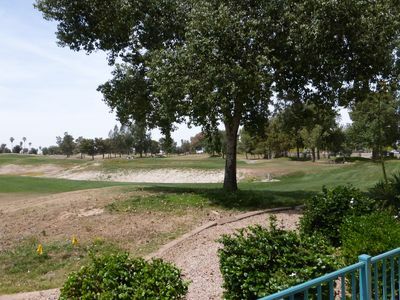 Golf enthusiasts can look forward to perfecting their swing at one of the many top-notch courses in the vicinity, including Scottsdale's Continental Golf Club or Coronado Golf Course, both situated mere minutes from the property. For a fun night out on the town, visit Old Town Scottsdale, a short 3/4 minute drive or a scenic 15 minute walk from the house. Roam the streets lined with restaurants and bars, stopping in for drinks and appetizers. Get a taste of Arizona’s iconic Mexican cuisine scene at Barrio Queen, a street-influenced eatery, or opt for a more formal dining experience at The Mission Old Town. 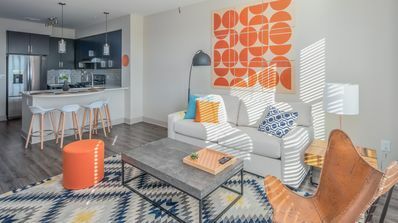 Other attractions nearby include downtown Phoenix, the Phoenix Zoo, Scottsdale Fashion Square, Arizona State University, Biltmore Fashion Park, Camelback Mountain, Tempe Town Lake, and Kierland Commons to name a few. 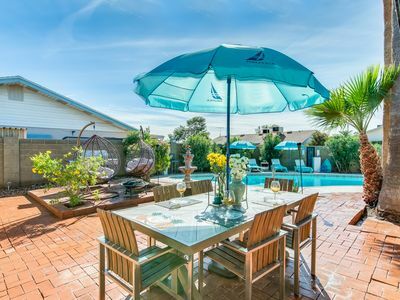 - Amenities include a fully equipped kitchen, in home laundry machines, air conditioning, flat-screen TV, wifi, covered patio, outdoor furniture, gas grill, swimming pool and more! 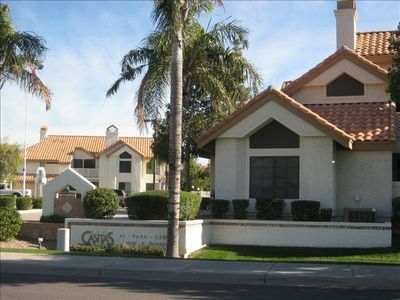 - Superb Scottsdale location - Within walking distance from several golf courses and Old Town Scottsdale. - No large parties or large gatherings. Book Now!!! BIZ TRAVELERS / APR GRADS /BB Spring Training / Book Now!!! April 7 & After Avail. 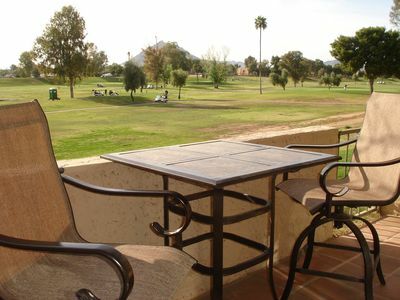 - Superstition Lakes Golf Condo with Golf Course Views! 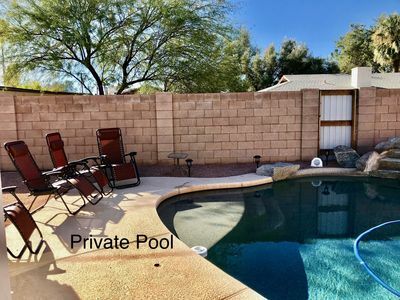 Come enjoy the April ☀️| Heated Pool, Pool Table, Putting Green, Walk to Kierland! 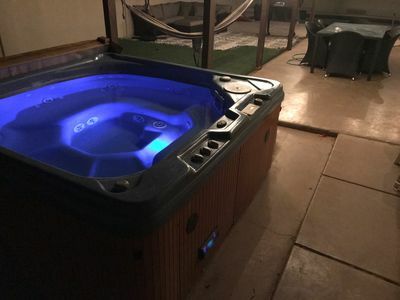 Spacious home with a private spa and pool, outdoor firepit!